Now someone needs to create a single app that encapsulates them all. That's a neat idea. If they all used a proper API someone could build an app and pull all the info from each company's server. There are so many ways that apps are built it would be challenging to try and lump them all in together. If each of those apps has a mobile site equivalent, it could be pretty easy, right? Just needs to store all your login info and maybe offer a map that shows the locations or something that summarizes available coupons. That would be the only 'easy' way to do it. Build a site reader that skims the data from each site and aggregate it. Are we working on a collective business venture here? Just remember who's idea it was!!! Between GPS tracking nearest fast food, auto-pushing best bdeals for nearest locations. Being able to set favorites, so that those deals notify when appropriate. Did someone say get rich? Let's not forget about who started this thread thus facilitating and leading to this conversation and idea in the first place. I'm actually seriously looking into trying to build this down the road. But first I'm going to build the replacement forums. I will be tapping you guys to test that later. Some classmates produced an app that was meant to combine restaurant info like this with social media, but it turned out to be a but of a 'wizard of oz' product (looked nice and flashy, but turned out to be a big show without proper functionality). Looks like something called a French Taco is about go international. Looks awesome, hope we get some here in the States. 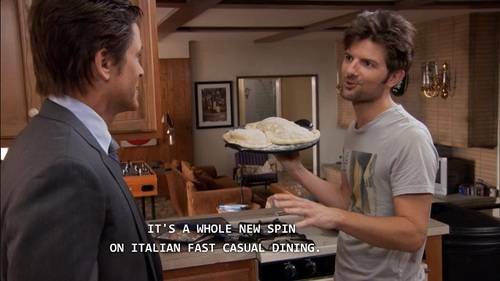 for those that don't know, it's their Calzone, or enclosed pizza "sandwich". They need to bring back the Bigfoot pizza in honor of Reggie's retirement. I had a cheeseburger from In-N-Out the other day... My friend brought it back from CA. It was ok but not anything special really. Then again, it had traveled like 2,000 miles and was 2 days old before I ate it. You aren't missing anything. You're assessment was accurate, even 2 days and 2000 miles later. In and Out Burger is like more carefully prepared McDonalds. I'd say it has about the same flavor, but better texture. I just had a delicious Big Bufford from Rally's. We are getting a The Habit in town this year. Anyone ever been? How is it? I hope you like Pizza, because you are about to get P'Zowned! Loved this back in the day! Agree that In N Out is far and away the most overrated burger chain in the US. I like to teas Californians that it is secretly a cult because of how dogmatic fans are (most Californians are judging by how many I rile up by saying both of those statements). The truth is I like McDonalds a lot. My biggest problem with McDonald's is it was for a time the only place in town, so I ate it enough to where it wears down on you. In and Out Burger has largely the same flavor profile. The bread is for sure better though. They make sure to tast it right. At McDonalds they only take the time to prepare bread well for single burgers. By far the single burger is the simplest thing on the menu that you can get prepared well. Most other things may end up sloppy, even the artisan burgers. Wendy's has the best meat. I used to work at Wendy's and I can attest to the quality of the meat handling, the salt distribution and the freshness. The chili process that Wendy's created allows them to keep the burgers made all the time and fresh. You don't have to wait long, your burger is fresh, it gets made even before you ordered it, if no one orders a burger which doesn't happen except after lunch is over, it goes int othe chili. Five guys is excellent, but you're going to spend more money. My last bill was something like $35 for two combos. I've been eating Freddy's a lot lately. Now I have to go on a diet. Carl's is not a place I have ever been to fond of. The local place has some of the worst staff at my nearest location. The next nearest place is great though. I recently tried the Beyond Burger which is a no meat burger, and it is pretty amazing. By far the best non meat burger I've had. It's right up there with the 70% soy burgers I used to get at the school lunch grill in high school. If someone hadn't told you there was no meat, you might not notice. As I said earlier I had a Big Buford at Rally's today and it was delicious. I've only been to Rally's once since there are none anywhere even remotely close to the part of the continent I live in. I don't remember what I ordered aside from that it was a burger. I liked it and would go again but I can't recall what it tastes like. I went to Freddy's on the same trip and it was fantastic. Very unique flavor as well so I distinctly recall it and will check it out again if I'm ever in an area where one is. I love In-N-Out. The closest location is in southern Oregon I think so I only can have it when I'm visiting California or Nevada or somewhere like that. So it's a big novelty for me since I'll go years without eating it. If I was eating routinely maybe it wouldn't impress me as much but as it is it's a special occasion that I get to eat In-N-Out. Five Guys might be the best burger I've ever had but it is ridiculously expensive. 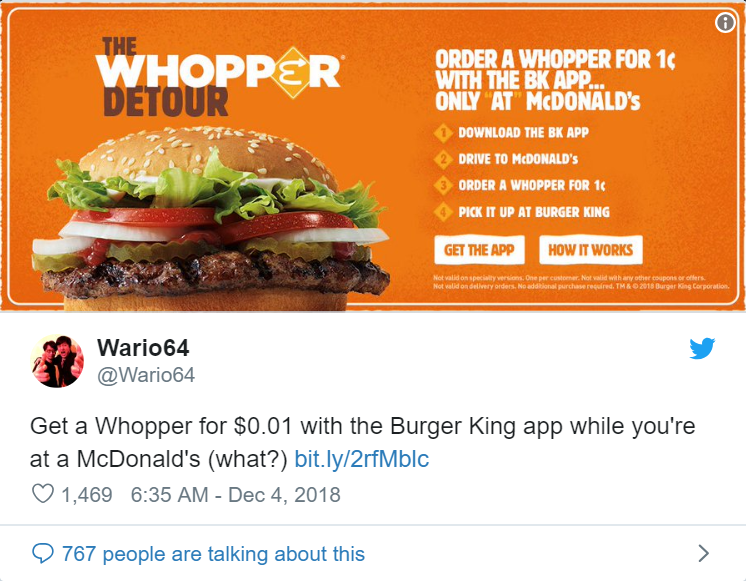 To order exactly what I want I'm dropping almost 20 bucks and I would have to work hard to find a way to spend that at a place like McDonalds. Carl's Jr. is great though familiarity has made it less special as it's now in Canada and I can and do eat there routinely. I used to get it about once a year on my annual trip to Seattle as the only location near me was in Marysville on the way. McDonalds is noticeably different in Canada than it is in the States. The McChicken is my favourite item here in Canada but it is junk in America. We have the American McChicken and call it the Jr. Chicken. The Canadian McChicken is not some value menu item. It's a "proper" menu item like the Big Mac and Quarter Pounder. I like McDonalds but I don't like it when I want a burger. I like the Big Mac but I eat it to fill a craving for a Big Mac which I consider distinct from a hamburger. McDonalds' food is pretty lousy but still enjoyable in a processed food way. It's like how I enjoy Kraft Dinner but it's not "proper" pasta and doesn't fill a pasta craving. It's its own thing. McDonalds' fries are fantastic though and I like the Canadian ones better. The American ones taste too much like potato chips. One thing US McDonalds has over the Canadian one is that the McGriddles still use scrambled eggs. In Canada they switched them to us the same egg as the McMuffin and I don't like it as much. Wendy's used to be one of my favourite fast food places but it has completely changed, at least here in Canada. I don't know what the food is like in America as I tend to prioritize chains that are not in Canada while I'm in the States. They changed Wendy's fries probably ten years ago or so and then a few years later changed the burgers. So if the burgers and fries are different, how is this is the same restaurant as before? I wish someone would start a new chain called Dave's or something like that and sell the Wendy's food from before. The way Iansane talks about McDonalds reminds me of how I talk about Taco Bell vs Mexican food. I live in ground zero for obtaining good Sonoran food. I eat Taco Bell every once in a while, but it isn't real Mexican food. As far as Wendy's changing in Canada. Must be the meat. In the USA the Meat is 100% ground beef never frozen. The only thing that can change with it is if someone salts it too much, or if they fail to do the No-freeze policy. The website says in Canada that is also the case. The only thing I suspect is the cook in your area is too liberal with the salt or doesn't salt it enough. "The cook in my area" would be several cooks. There's like five or six Wendys in each city here and I live in the Vancouver area so multiple cities blend into each other. I've probably been to 20 different Wendys since I noticed the change. A hamburger isn't just a slab of beef cooked. There are specific ingredients added for flavor and ways of cooking it, otherwise every burger would taste the same. Plus if you've ever had a burger where someone literally just cooked up ground beef without doing anything else it is pretty boring. They changed something and they made a big stink about it too, advertising them as "Dave's Single", "Dave's Double", etc. The bun is totally different as well. Different flavor, different bun, new advertising campaign and a subtle name change? Yeah, they changed it. I used to work at Wendy's as a Hamburger cook. Wendy's Burgers just have salt on them. Wendy's burgers come in big sleeves about 35cm(i'm guessing 14 inches) x 10cm x 10cm. The main thing that makes Wendy's Burgers different is they're square. They're not like Burger King for instance which are all pre-seasoned/pre-charred in some factory. I had a friend who worked at Burger King who told me "we used to just microwave them" At Wendy's the meat is just plain hamburger meat. One of my managers joked "what makes Wendy's patties special is we don't cut corners"
You put it on the grill and you season it with salt from a salt shaker. 30 seconds later you flip it. Then you press down on all the corners of the burger starting with the lower right corner. Much blood will come out. You do this once and only once because you don't want to contaminate the burger. 60 seconds after this you flip the burger again. and 60 seconds later you flip it again. Now you flip the burger at 30ish second intervals until it has reached the proper color brown. This is variable. Also to note. The grill at Wendy's is on a slant. The slant is only like 3°. It's just a sheet of metal. So, it drains the grease and blood out of the burger as time goes on. The grill is very hot. It is heated by gas below it. Sometimes it was fun to make flames on it. Also, throughout the day you use salt to clean it. The burger is placed on a bun and mustard is applied in a W shape. Ketchup and Mayonnaise are applied with a knife from troughs. Vegetables are applied to order. I did the burgers and fries though. I only worked at the sandwich station twice. When I worked there Wendy's fries were just plain potatoes. While working there they changed the type of oil they used. Which didn't make much of a difference in flavor. But after I was working there, they changed the fries completely to the sea salt fries we have today. I have several times made home made Wendy's style burgers. I worked there for a year and a half between 2005-2007. If you follow the steps above it will taste like it was made at Wendy's. It may be just salt, but there is some technique involved as well. The meat fat content Is probably 80/20 or 85/15. So, I was at Wendy's yesterday. And the only thing to seem to have changed was how the menu was oriented. Previously a Number 1 was a single, a 2 a double, and a 3 was a triple. This is different now as "Daves" whatever is now all number 1 with the variations of patty count folded into it. The 2 is the Baconator, and 3 was something else. I got the mushroom melt burger thing though. So, I couldn't comment on if the Single, Double, or Triple tasted different. I was there a month ago. It tasted standard. I have been at times where they over salted the burger, or the burger had fried Grease tassels like Five Guys or Freddy's has. The bun could play a big factor. Wendy's uses cheapo cheapo buns. We'd microwave in the bag for 15 seconds them to make them soft. Use Wonder bread, or Wal-mart buns if you make them at home. Other variations could be ketchup, and mustard brand. I think they were just Heinz before. Might have been Hunt's. Edit: Apparently they changed from Heinz to Ventura 4 months ago. That's probably it. So tell em no ketchup and bring a bag of Wal-mart buns with you next time. There must be a difference in Canadian and American Wendys then. I noticed the change. My brothers noticed the change. My friends noticed the change. So unless it's collective insanity or a BC-wide thing or I just happen to have a lot of influence in my social circle (but only regarding Wendys burgers), then something changed at some point. Maybe it's entirely the sauces, bun and/or cheese. It might be the fact that my favourite item was the Big Bacon Classic which they got rid of when they introduced the Baconator. The Big Bacon Classic might have been a Canadian-only thing as I don't recall seeing it at a time I went to an American Wendys when the item was still available in Canada. They changed the Jr Bacon Cheeseburger around the same time, making it a much smaller patty than before. The main difference in flavor is that the old burgers were more dry, if that makes sense. I often have grease dripping out of the burger at Wendys these days but that wasn't so common before. Maybe the meat is the same but the grills changed. Maybe Wendys Canada had a distinct flavor and they decided to standardize the American style across all markets when they introduced the "Dave's" branding.